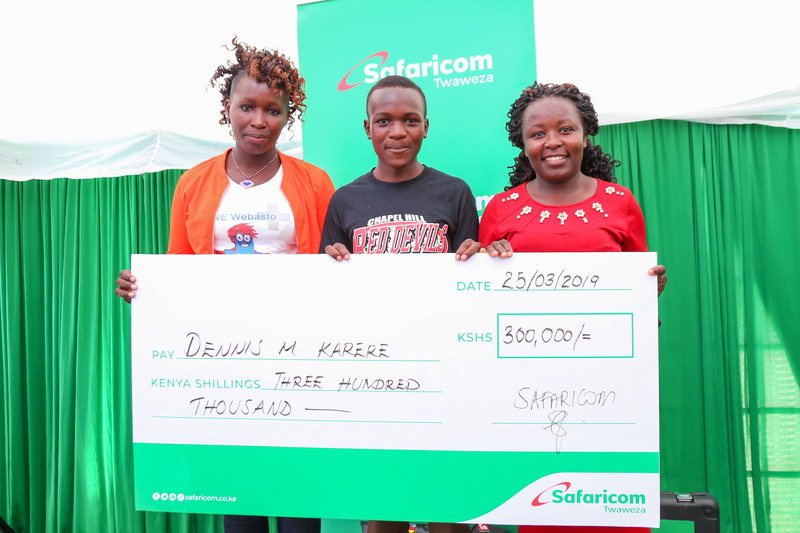 Dennis Muthii Kareri, the 30 th million Safaricom subscriber, poses for a photo with his dummy cheque worth Kshs. 300, 000. Nairobi, Kenya – 25th March 2019… Safaricom (NSE: SCOM) has today recognised its 30th million customer, announcing that it will fulfil his ambition to join a leading technical institution in the country. 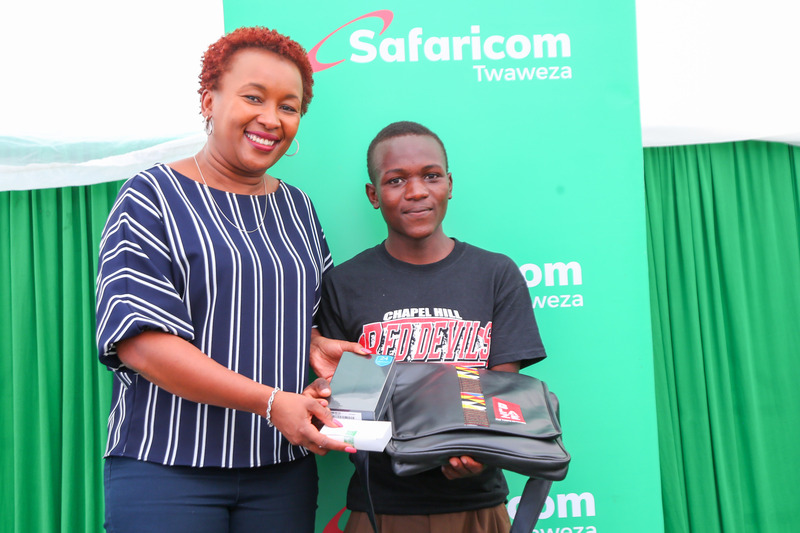 Denis Muthii, aged 19 from Kimunye in Kirinyaga County will see Safaricom fund his tuition and upkeep for a technical course in Mechanical Engineering. 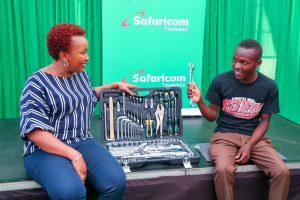 He joins more than 3,000 youth who are set to benefit from a separate KES 132 million Technical, Industrial, Vocational and Entrepreneurship Training (TIVET) program by the Safaricom Foundation. 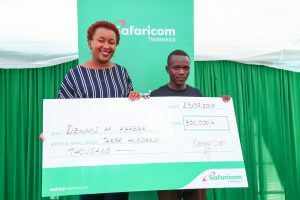 million subscriber, Dennis Muthii Kareri. 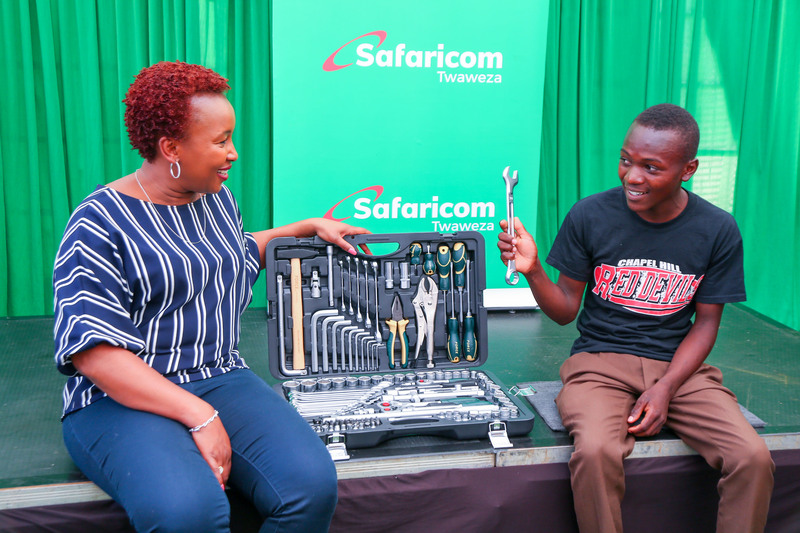 Safaricom Chief Customer Officer, Sylvia Mulinge, samples the fully kitted tool box with the 30 th million subscriber, Dennis Muthii Kareri. 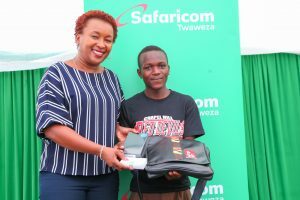 Safaricom Chief Customer Officer, Sylvia Mulinge, presents a phone, airtime and a blaze sling bag to the 30 th million subscriber, Dennis Muthii Kareri. 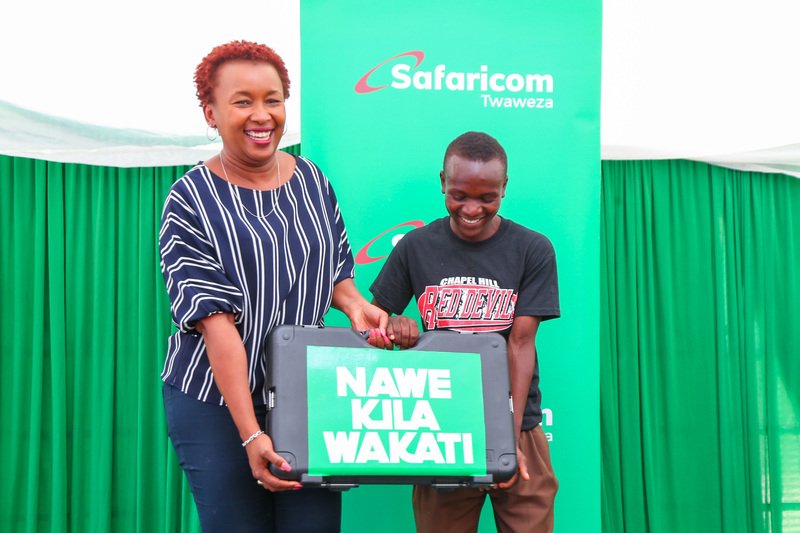 Safaricom Chief Customer Officer, Sylvia Mulinge, presents a dummy cheque worth Kshs. 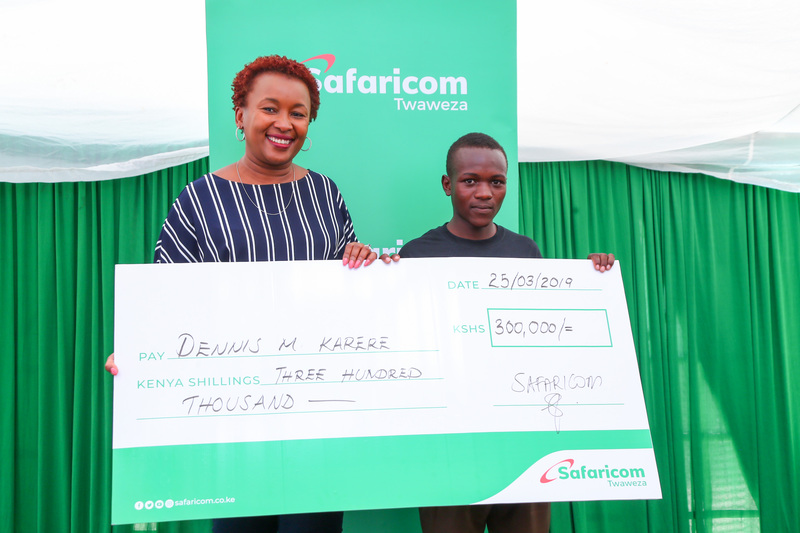 300, 000 to the 30 th million subscriber, Dennis Muthii Kareri. 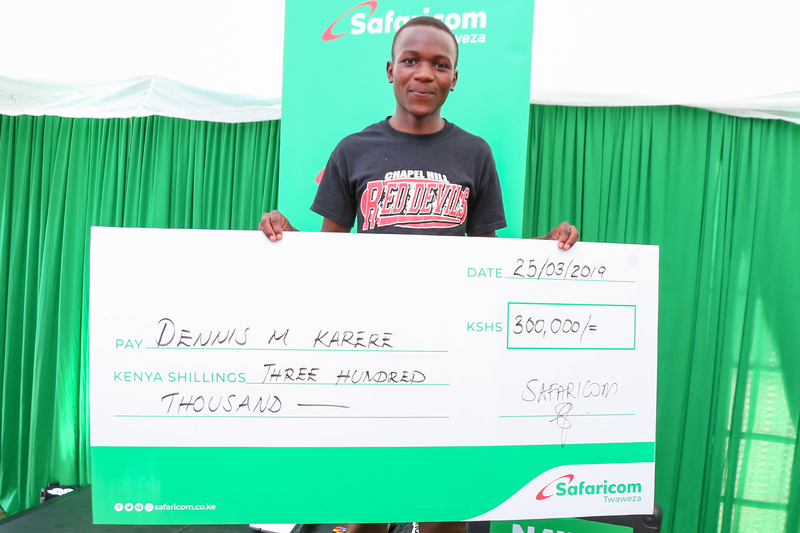 Dennis Muthii Kareri, the 30 th million Safaricom subscriber, poses for a photo with his dummy cheque worth Kshs. 300, 000. 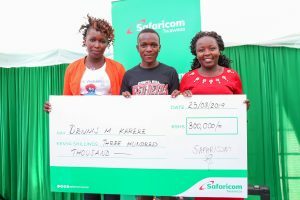 With him, is his sister, Rose Wawira (right), and Janet Wawira (sister in law).